Home » Blog » Bring Your Daughter to Work Day at Granite Bay Cosmetic Was a Success! 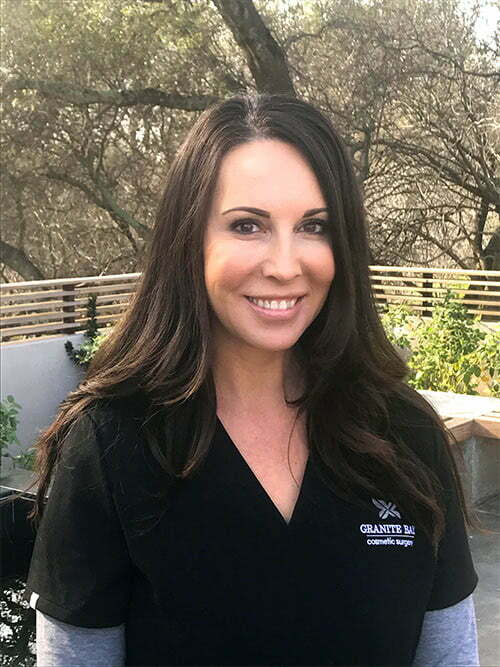 We recently celebrated National Take Our Daughters and Sons to Work Day, opening our doors to the intelligent, kind, and beautiful daughters and nieces of Granite Bay Cosmetic staff. As a woman-owned, women-staffed business, we felt this was the perfect opportunity to show these girls just how badass women are—and that they can do absolutely anything they put their minds to. Remind our young visitors that nothing is off limits simply because you’re a girl. Demonstrate what a day at a busy medical practice is like—and how satisfying hard work can be. Give the girls a peek into what it takes to be a surgeon, banana sutures included! Talk about self-esteem, what mothers and daughters mean to each other, and what makes us individuals. It’s normal for our office to be full of smiles and positivity, but as soon as the girls arrived, our space was overflowing with giggles and energy. Of course these enthusiastic young women wanted to sport just the right outfit for the occasion, so we began by outfitting everyone in their own scrubs, surgical cap, and mask—just like Dr. Clark and our nurses do every morning before surgery. Hannah then took charge and showed the group how we make sure each and every one of our patients feels well-cared for and informed with personalized informational packets. They helped organize forms and stuff folders, and we’re happy to report we had five enthusiastic young workers—and zero papercuts! We took a break from all the hard work for a little mother/daughter bonding while arts and crafting it up. The task: creating art that celebrates individuality, self-love, and empowerment—with a twist. 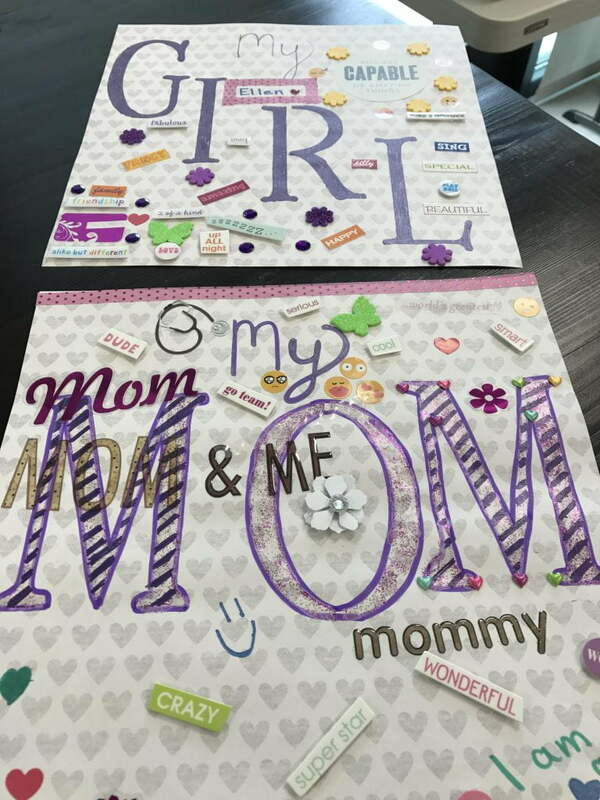 We asked our moms and daughters to design collages highlighting the things they love, respect, and admire about each other. We’ll cop to it—there weren’t many dry eyes left after this activity, but we loved seeing all of these women supporting each other and honoring the things that make us all unique. The main event of the day was getting to see Dr. Clark in action. Our pint-sized surgical attendants gathered around the operating table to watch Dr. Clark make her first incision of the day…on a banana! To demonstrate the skill and care she employs every day on her patients, Dr. Clark gently sutured the banana back together, making it whole again. The girls were amazed, and we hope some are inspired to consider becoming surgeons in the future. Dr. Clark and the entire Granite Bay Cosmetic Surgery team thoroughly enjoyed hosting these young women for the day. Through them, we were reminded not to take life too seriously; to work hard but also be playful. We hope they also left with a few new insights. Wherever they end up in life, we know they will go on to do incredible things—and we cannot wait to cheer them on!